Traditional or Trendsetting? Whoever you are… there’s a Padró & Co. vermouth for you! Our Rojo Amargo and our handcrafted crate containing the four Padró & Co. classics have been highlighted once again in La Conca 5.1, respected Spanish media publication specializing in the world of wine and winner of the industry’s Best Blog Award. Although two essentially different concepts, our Rojo Amargo vermouth and the 4-bottle wooden crate have made a huge impact both in Spain and abroad thanks to a unique design and their exceptional quality – endorsed in the form of 17 gold medals in different Spanish and international awards. Ruth Troyano, sommelier and journalist specialising in wine tourism, describes our Rojo Amargo as a “great guest” at family get-togethers or meals with friends. It is our “most daring and ground-breaking” vermouth, meant to herald the real essence of vermouth and leave traditional vermouth-drinking habits behind. 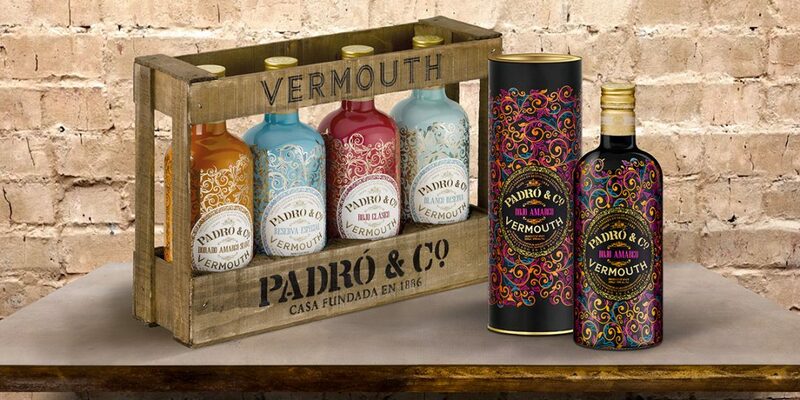 For more traditional tastes, Ruth recommends our handcrafted crate containing the four classic Padró & Co. vermouths. A very vintage look that teams up terrifically with the characteristic arabesque motifs on our vermouth bottles. Everything comes down to taste. Are you reckless or romantic? However you are, there is always a Padró & Co. vermouth for you! Find out which one!